Several people say that some slot machines are simply not worth your money or time because they have just paid out, thus making them unable to payout again for a long time. This theory might make perfect sense to you, but it isn't actually true. Yes, free online casino slots are set to give out certain percentages from what they take in; however, each spin of these machines happens to be totally random and completely independent from other spins. See, winning spins happen to be determined by exact moments in time rather than because they have not been hit in forever. 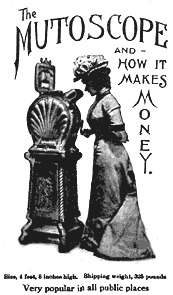 Other people might argue that some machines are dry and will therefore not pay out since they do not run in pay cycles. However, as mentioned earlier, every spin on a slot machine is random. Pay cycles do not exist. Sometimes, you might find yourself at a machine and worry about leaving it because whoever plays next might hit a huge payout after only several spins on your machine. Actually, the chances of you hitting that exact same jackpot would be slim anyway, so quit worrying. Random payout actions do not depend on how many spins have already come about. So, even if you ended up staying on that machine, you need to hit the exact same spin at the exact same time as that other player did if you want to get the exact same payout. Some people think that hitting slot machines with casino club card are going to lower their odds of winning large. This is false. As a matter of fact, the opposite might be more true. Since casino club cards are made to make people play at their casinos more, nothing will make them do so if they never win. Players who win are more likely to keep playing than players who never do after all. At the end of it all, casinos want players to keep coming back. But, every spin - regardless of what the method of payment is - is completely random and relies solely on an exact moment. Plus, using club cards is always worth it anyway because it gives you added benefits, like an additional 5% onto your bankroll.